There is a two-year filing deadline. You only have two years from the date of the injury — or the day you discover (or should have discovered) the injury — to file a medical malpractice lawsuit. You have to prove that the medical professional violated the prevailing standard of care, which means the doctor or other practitioner didn’t act the way that ordinary (reasonable) medical professionals would act. If, based on the available information, a reasonable practitioner would have acted the same way, then it’s not medical malpractice. You also have to prove that the malpractice actually caused your injuries. If your injury is something that would have — or could have — happened anyway, then it might not be malpractice. 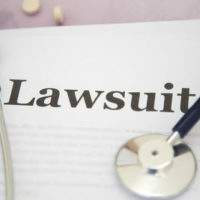 Who you can sue for medical malpractice depends on who was involved in making the error. For example, while the doctor might be responsible for the injury, you might not be able to sue the hospital. However, the hospital might be on the hook for errors made by technicians, nurses and other employees. If your loved one dies because of medical malpractice, then you may be able to file a wrongful death lawsuit. Whether you can file a claim depends on your relationship to the victim. For example, spouses and parents can file wrongful death claims. However, the age of the child may affect your ability to seek compensation. An experienced attorney can explain your legal options. Medical malpractice takes many forms. For example, the doctor could make a surgical error (like performing surgery on the wrong organ) or prescribe the wrong kind of medication. Other examples can include misdiagnosing an illness and improperly administering anesthesia. Talk to an experienced attorney if you think you’ve been injured by medical malpractice. We can help determine whether you have a viable malpractice claim. Unfortunately, medical malpractice happens far too often. You are entitled to compensation if you are injured because a medical professional fails to meet the prevailing standard of care. Malpractice claims are not cheap, which is why we might hire a medical expert to determine whether your injury was caused by malpractice. Contact a Tampa personal injury attorney at The Pendas Law Firm today for a free consultation if you are injured because of medical malpractice. We will help recover the compensation that you deserve, including medical expenses, pain and suffering, and lost wages. The Pendas Law Firm also represents clients in the Miami, Fort Myers, West Palm Beach, Orlando, Jacksonville, Fort Lauderdale, Daytona Beach and Bradenton areas.